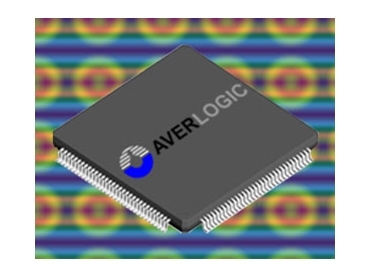 AverLogic products are available through GLYN High-Tech Distribution , have launched the AL460 Full HD FIFO which consists of 128Mbit of memory density and can be configured as 8M x 16-bits FIFO (first in first out) at maximum R/W operating speed 150MHz. The full HD FIFO can be used in a wide range of applications such as multimedia, video capture systems and many other varieties of video data buffering applications. The size and high-speed data access allow full HD video frame capture up to 1080p resolutions. The AverLogic AL460 FIFO memory provides completely independent input and output ports. The built-in address and pointer control circuits provide a straightforward bus interface to sequentially read/write memory that can reduce inter-chip design efforts. The AL460 Full HD FIFO uses high performance process technologies with extended controller functions such as write mask, read skip. It allows easy operation of non-linearity FIFO read/write for use in broadcasting systems, security systems, camera and many other applications. An additional feature, dual chip cascading, is also available to double FIFO size. The AL460 Full HD FIFO is designed and manufactured using state-of-the-art technologies with low power consumption AC characteristics (2.5 and 3.3V power supply) facilitating high performance and high quality applications. The chip is available in LQFP-128 pin package; the small footprint allows product designers to keep board real estate to a minimum.